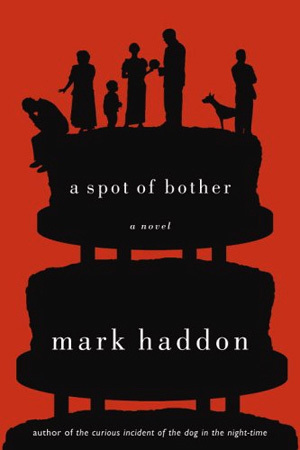 I read Mark Haddon’s earlier work, The Curious Incident of the Dog in the Night-time, and really enjoyed it, but I wasn’t prepared for how laugh-out-loud-funny A Spot of Bother was going to be. Summary: George’s daughter, Katie, is getting married – but to a man the whole family hates. Including her gay brother, Jamie, whose boyfriend has recently left him. And her mother, Jean, who can’t decide if she should invite her lover to the wedding. While it seems improper, she bets people will wonder at his not being included. He is, after all, George’s former business partner. Oh, and George is a hypochondriac. And perhaps a little manic, as he’s suffers from awful panic attacks. He thinks his small case of eczema is actually cancer and assumes he’ll be dead by the wedding anyway. And that has created a spot of bother. Wonderfully witty characters and a family conversations everyone can relate to make this novel incredibly entertaining and a must read (or listen) for all. I also loved The Curious Incident of the Dog in the Night-Time and thought that Mark Haddon was very capable of writing humour. Nice to see that he’s done so. Thanks for the review 🙂 I’m definitely “TBRing” this. I enjoyed “Curious Incident” and I look forward to reading this book soon. Good review.